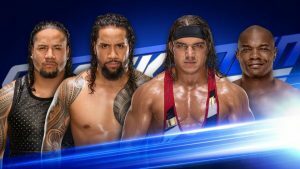 SmackDown Tag Team Champions The Usos will defend their titles against Chad Gable & Shelton Benjamin next Tuesday on SmackDown LIVE. 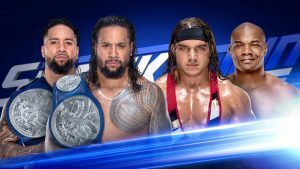 Who will leave the first SmackDown LIVE of 2018 with Team Blue’s tag team titles? Find out next Tuesday at 8/7 C on USA Network! Last Tuesday, Rusev & Aiden English turned the SmackDown LIVE Tag Team division on its head after defeating The New Day and being added into the SmackDown Tag Team Title Match at WWE Clash of Champions. 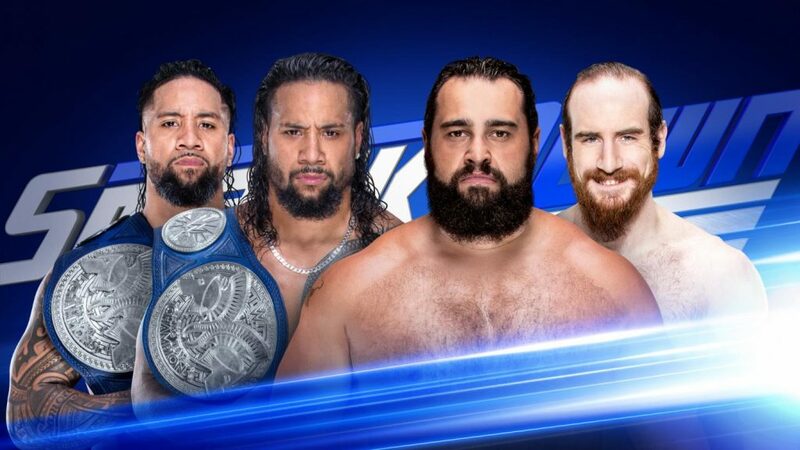 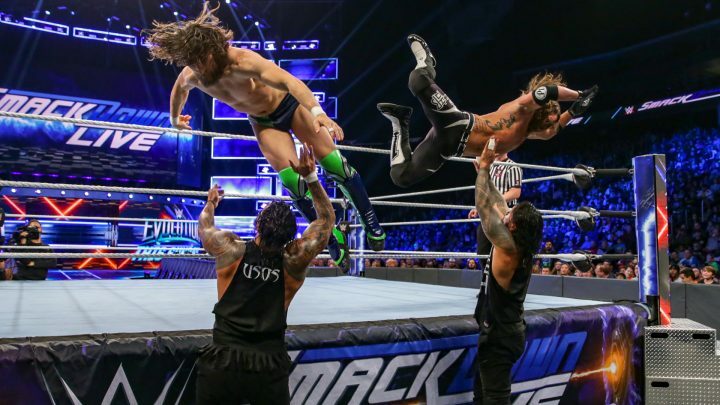 This week, the pair will get the chance to rack up another big win ahead of the Fatal 4-Way Match for the titles when they take on the reigning SmackDown Tag Team Champions, The Usos. Will this Rusev Day be filled with elation for The Bulgarian Brute and the bard of Team Blue? 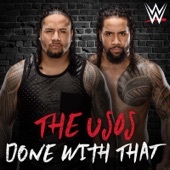 Or will their holiday be spent on lockdown in the Uso Penitentiary?